While there is a massive emphasis on the lead up to Christmas, the post-Christmas period – the traditional Twelve Days of Christmas, between 25th December and 6th January, the feast of the Epiphany – can often be overshadowed. 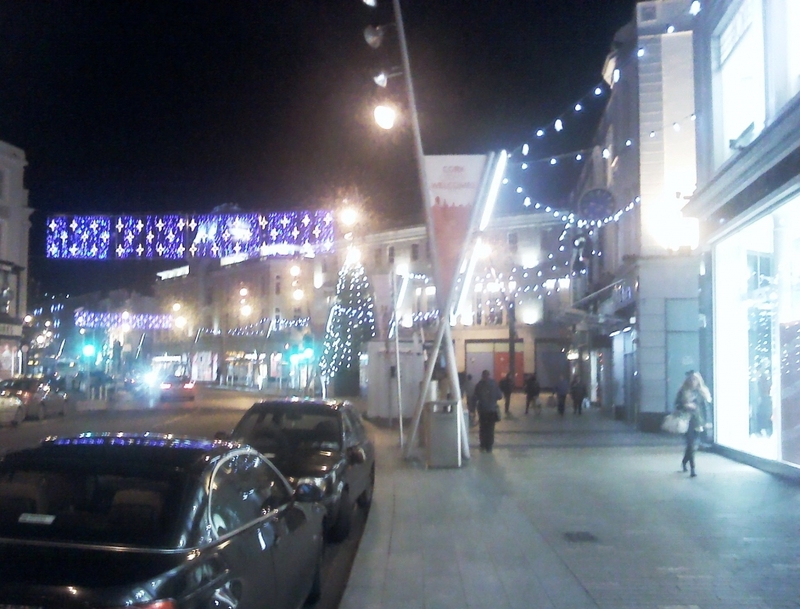 So, I was heartened to see that the Christmas lights were still lighting in Cork city on 3rd January. While the Christmas lights seem to go up too soon (mid-November), at least we can say that they have not been taken down too soon. Christmas Lights on St Patrick’s Street, Cork, 3rd Jan. The photo, taken outside Penny’s, looks eastward, showing displays of lights which run across the street, rows of lights going from the lamp posts to adjacent buildings and a Christmas tree at the top of Winthrop Street.